If you’re a fan of RoboCop (let’s face it who isn’t) — and if you were a child of the ’80s? (if your not, then you missed out) — then today might be your lucky day. 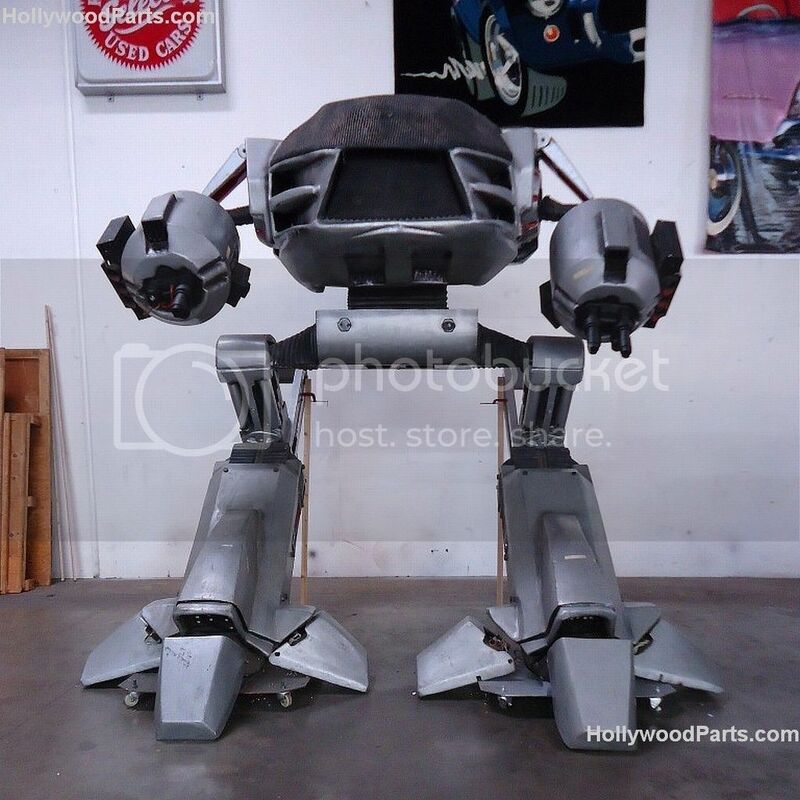 A ten-foot-tall prop of the OCP executive-slaughtering ED-209 is now available for purchase on eBay for the low, low price of $25,000 or £16107.20 in non monopoly money. Okay, so that’s not exactly cheap for what isn’t even a real working bot, likely made as either a stand-in or a marketing piece. It also apparently needs a couple of wooden planks to stand on its own and was built for the infinitely less cool RoboCop 2. 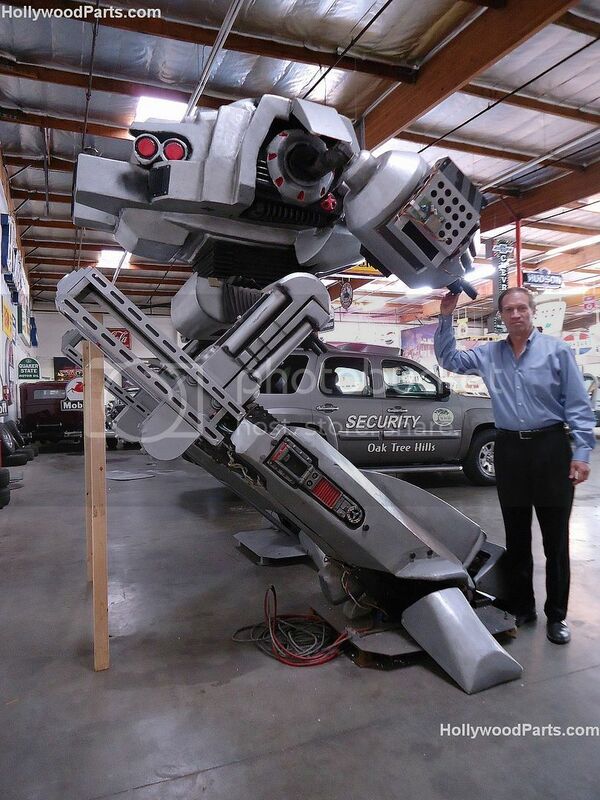 Still, did I mention this thing is ten feet tall? I don’t think it’s made of egg boxes and plywood, its leg extensions contain metal bars and pneumatic cylinders? And there are actual electrical connections below the legs there? 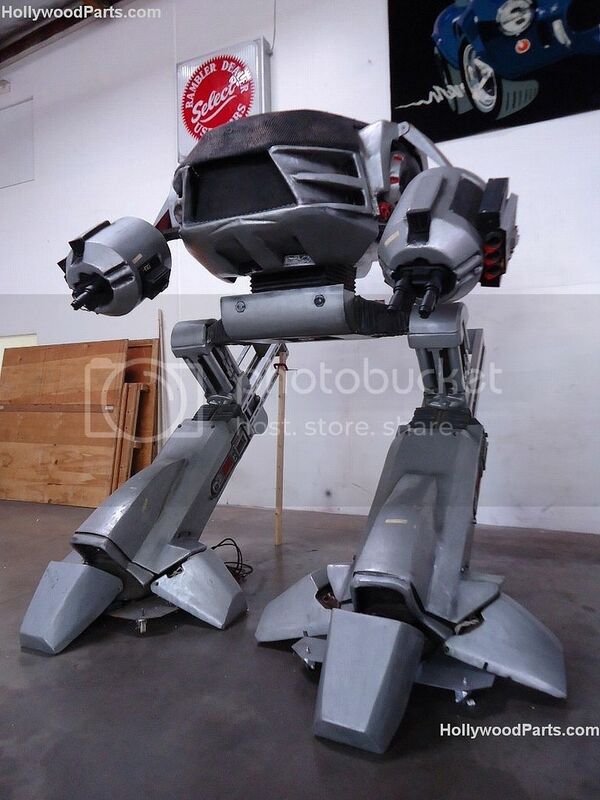 Sure, it might not actually power up, but it’s certainly more intimidating than the robotic officers we have now. So go ahead and bid on it if you have the cash; just keep it away from stairs. Follow us on Facebook, Twitter and Google+ for a chance to win one of our awesome competitions.